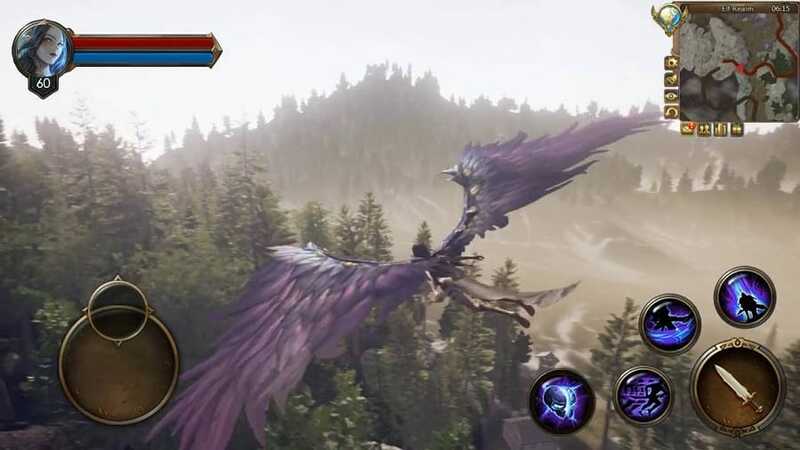 Developed by GTarcade, Legacy of Discord: Furious Wings is a free to play MMORPG game in which players take part in grand, fast-paced Player VS Player (PvP) battles and Player versus Environment(PvE) battles. Launched on September 21, 2016, the game has gone on to grab a huge fan base with more than 10 million downloads in the Google Play Store alone. Marketed as the best Multiplayer Action game available on both Android and ios devices today, the game can also be easily played on your Windows or MAC desktop or laptop computer even though an official version of Legacy of Discord: Furious Wings for PC was never released. Be sure that we will be giving you details on that later. The game comes with a ton of unique and exciting features that make it one of the very best around. So, let’s have a look at some of those features, shall we? The game comes with a clever selection of character classes ranging from a Magic-Wielding Sorceress, to a fierce sword wielding Berserker and lastly, to an agile and buoyant Bladedancer. Pick a class that feels right with you or one that you relate to most. Experience fierce real-time action as you slash, hack, and blast your way through an enormous and well-built fantasy world. The game comes packed with Brilliant 3D graphics and cool effects that put you right in the middle of the battle. Well-crafted characters and smooth animations keep the combat quick and engaging. Show your skills in the engaging and captivating Campaign mode. Fierce Real-Time combat keeps adrenaline levels high. Epic Boss battles test your wits and skills to the fullest. Protect your Guild’s honor in the grand Guild wars. Real-Time PVP and CO-OP combat gives a platform for endless action. Take on hordes unrelenting demons for ultimate glory. Upgrade yourself from a novice warrior to an immortal God of War. Improve your weapons and armor by refining them, enhancing them and fusing them. The game comes with easy to use controls that make it easy for everyone to play. Unique game engine built from scratch to ensure that the game runs smoothly on all devices. The game is free to download and play with a few in-app purchases here and there. It should be noted that the game can be completed without dishing out a penny. 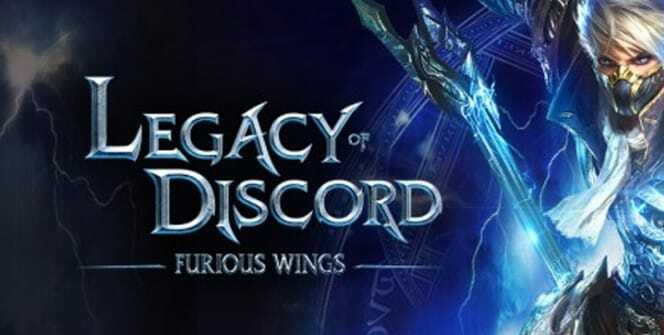 Legacy of Discord: Furious Wings is one of the most engaging and adrenaline invoking combat games available today. Not only does the game come with console-quality graphics, but it also has intuitive gameplay and simple controls that make it a joy to play. The game is an MMORPG game like no other, and it is on this basis that we recommend it as a must-play game for those that love playing light, but high-quality Combat games on their laptop or desktop computers. Sometimes when playing Legacy of Discord – Furious Wings, bluestacks ask you fee to pay but gives you option to download some apps. Every time it asks you just select “Install apps” and continue using it free. I hope you enjoyed this article, please rate and share. 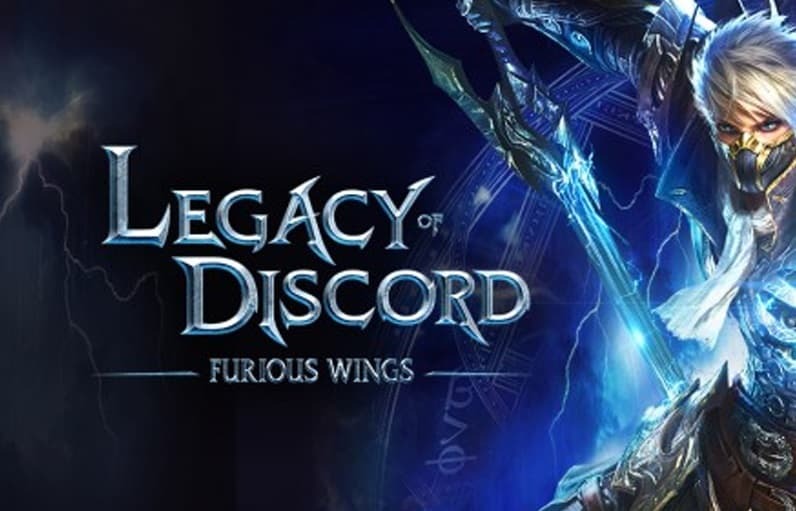 If you have problems running Legacy of Discord – Furious Wings on desktop or any other issues, leave a comment below.